This incredible home is located in the prestigious Heather Hills Subdivision! It has a unique first floor with self contained, 1050 sq. 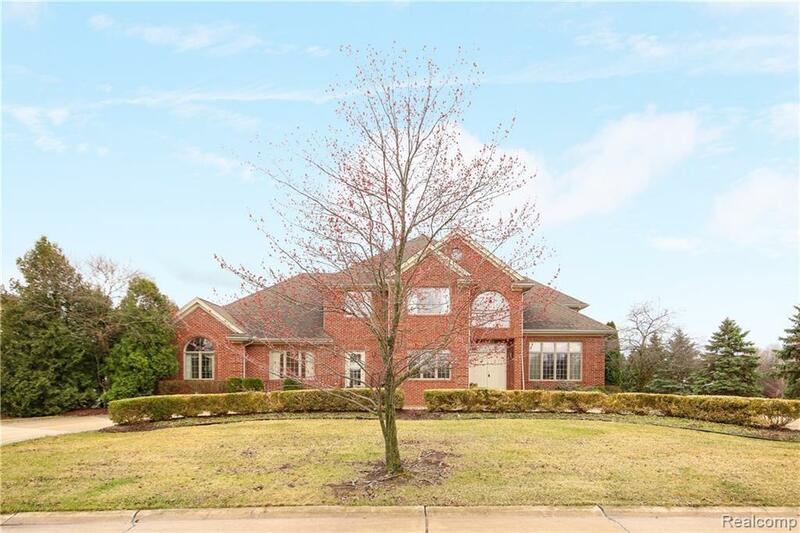 ft. in-law suite complete w/a private entrance w/larger door & ramp, kitchen, living room, dining room, bedroom & full bath equipped w/a separate furnace & a/c. & private deck. This 4,642 sq ft beauty has a circular drive in front & a rear entry over-sized two car garage that could fit 4 CARS tandem! The home is located on a quiet, well maintained cul-de-sac w/professional landscaping & mature trees providing plenty of privacy. The exterior was freshly painted in 2015. New roof in 2009. The home has 2 staircases to the 2nd level. 4 out of 5 bedrooms have full bath direct access. Amazing finished walk-out lower level has high ceilings & is perfect for entertaining family & friends. Located just 3 miles from downtown Plymouth. Easy access to major expressways and is only 25 minutes from Detroit Metro Airport. Awarding winning Plymouth Canton Schools. IDX provided courtesy of Realcomp II Ltd., via Exp Realty-The Luxe Group and Realcomp, ©2019 Realcomp II Ltd. Shareholders.